Volunteers from the Fort Yuma Rotary Club, their families and high school Interact members arrived at the JC Penny’s store at the Yuma Palms Mall at 7:30 am to begin their shopping spree. JC Penny’s opened the store early to the 25 children, Fort Yuma Rotary allowing $100 dollars each for clothing and $25 each for shoes. Funds were raised by Fort Yuma Rotary’s Mardi Gras Block Party and Pars Under the Stars Golf Tournament. Fort Yuma Rotary would like to thank the following sponsors that helped us to provide additional services. 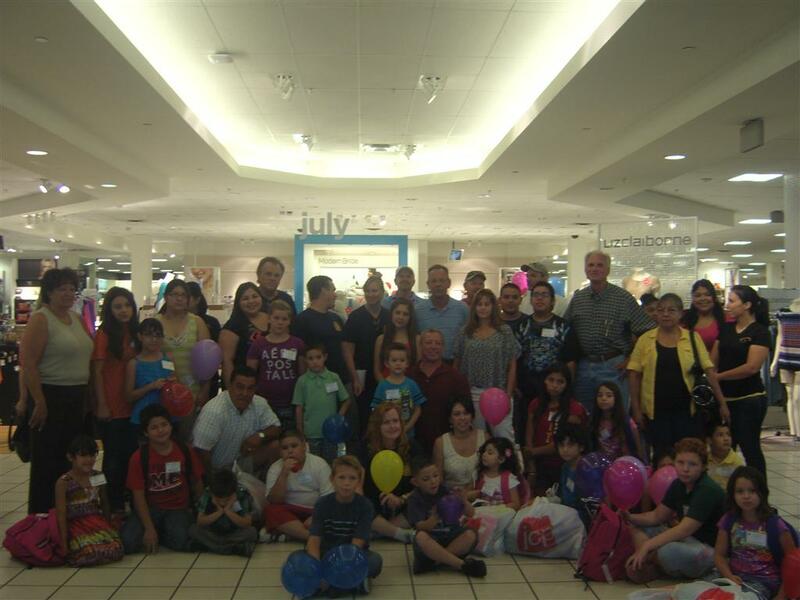 The Back to School Shopping Spree event was fun and rewarding for all involved. A special thanks to all of the sponsors, volunteers and to all of the organizations who provided the opportunity for these kids. We look forward to making the event even more successful next year! Special Thank you to Marlene Aiello for being Fort Yuma Rotary’s Back to School Shopping Committee Chair!